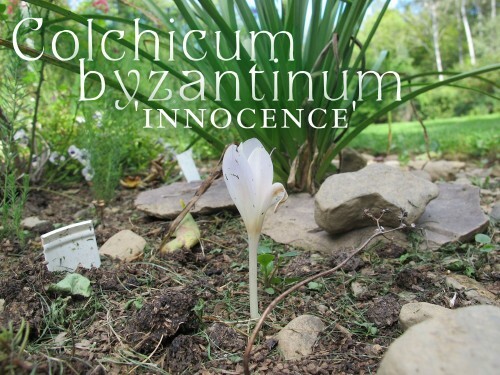 Colchicum autumnale looks delicate, but it’s tough. These blooms (above) emerged on September 3rd and were blooming by the 5th. They win the prize for first-to-bloom. ‘Innocence’ is also known as ‘Album’. I don’t know where my original ‘Innocence’ went to. I am not sure if I somehow lost them when we moved, or if I inadvertently gave them all away, but I bought this one last year from Daffodils and More. Colchicum ‘Disraeli’ is strongly tessellated (checkered). 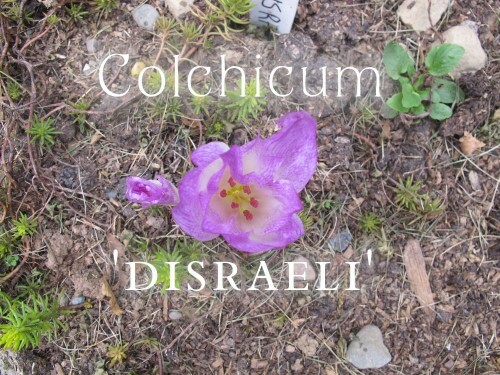 I acquired ‘Disraeli’ last year, also from Daffodils and More. I have wanted ‘Beaconsfield’ ever since I saw it in Autumn Bulbs by Rod Leeds. There are lots of colchicums I’d never heard of (or seen) in that book. Okay, some of these flowers hadn’t opened all the way yet. That just means you’ll get to see them next week, too. Only two days left! Don’t forget to take my reader survey if you haven’t already done so. It will help me decide what to write about in the next twelve months. The survey is limited to the first 99 respondents and will close on September 10th. I only have 41 respondents so far, so please share you thoughts through this survey. I really appreciate you helping me out. I love these flowers but have not seen mine emerging yet. 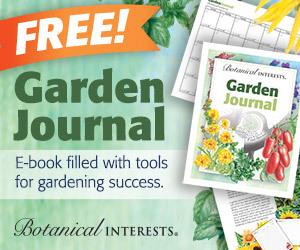 I need to grow some of these! I love surprises in the garden. And they must be hardy enough for me if they’re hardy enough for you! A lot are rated to zone 5. I think improving drainage improves the success rate. If you are zone 4 I would plant them on the deep side but in free draining soil. 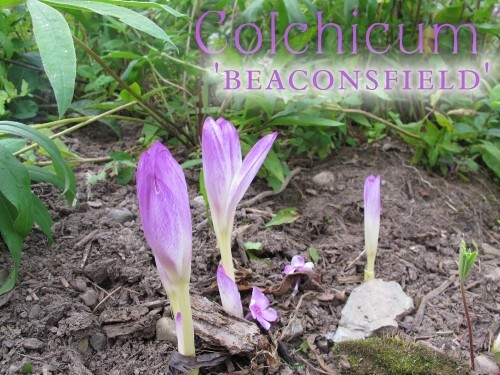 Can I join the colchicum fan club too? I have a couple starting just this week, and I’m always happy to see them return. I thought they were foolproof until I moved them to what I thought was a better spot… they’ve been hit or miss ever since. My yard is so dry right now, to see them bursting into life is so refreshing. My first Colchicum popped up the last week of August. I’m not sure what type it is, though. 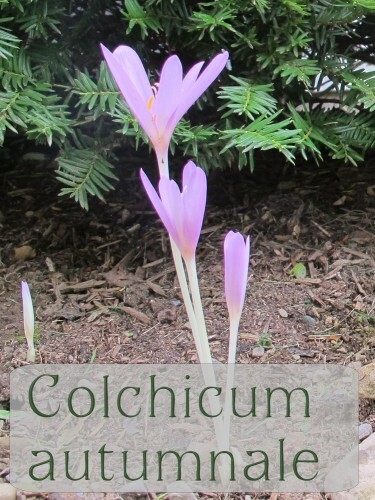 Colchicums ARE really fun flowers! I ordered the double white form for this fall. My C. cilicicum made lots of seeds this spring and I scattered them around. I wonder how successful they’ll be. I love them and have since I met them blooming on the counter in my then (20 yrs ago) favorite nursery. They’re beautiful. I am pretty sure the one that’s blooming at my house is C ‘Autumnale’. I wonder if they would do well in our zone 7a garden. We love surprise lilies or naked ladies as they are called around here. They leaf in the spring and have already flowered about a month ago. 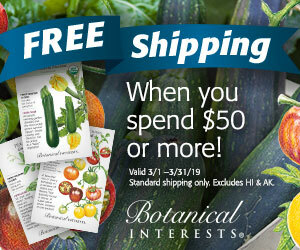 I will look some varieties up and see if they might fit. Thanks for your lovely photos of them! I know they are growing for some friends in Tennessee. Generally in your zone it would be clay soil that kills them, not heat. Or Kathy the Colchicum Evangelist, converting mere gardeners into colchicophiles. I’m also on patrol, but my colchicums only come up in one spot so I don’t have to go far to see them… and they came from you! Since they were a passalong plant I shouldn’t say “thank you” for them as that might cause them to perish. Instead I’ll say they look wonderful in my garden and I am reminded of you whenever they bloom. They are amazing plants, and I do appreciate any plant that can flower in the fall.